$ICX/BTC (ICON)(Binance Exchange) A good run may happen. There is a rumor that ICX (ICON) will launch their ICO platform on April 30. This rumor may affect its price and push it upward because it crypto world nowadays, the mantra of the traders is "buy on rumors, sell on news" so when their is a rumor about a coin the price is moving upward, sometimes slowly but its upward, then when the news is officially announced (mostly on Twitter) the price goes down hard or most of the time the coin is being dumped. 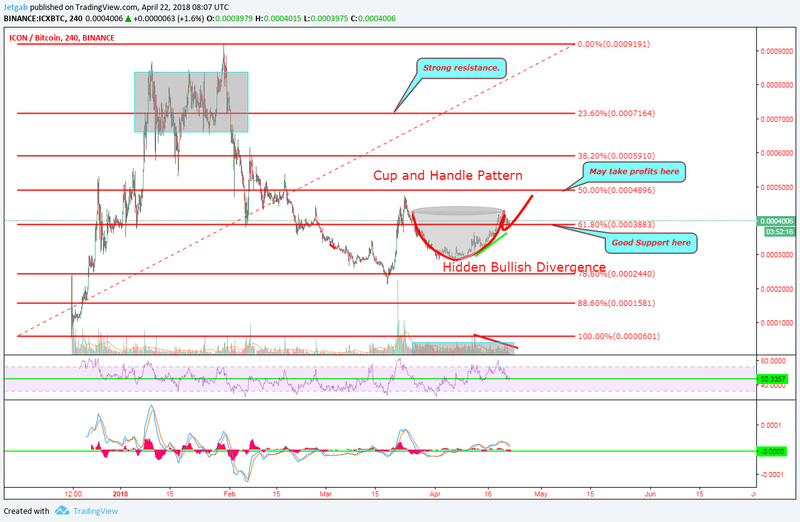 In the case of ICX I think the rumor is forming a good indicator action on its chart. RSI: uptrend since its price bottomed at the base of the Cup and has a good strength. MACD: Uptrend since price bottomed and is not crossing below. Volume: Good volume and is on a Hidden Bullish Divergence. ICX has been uptrend for days even BTC is not stable these past few days and other alts are dumping when BTC goes up or down, but ICX is still uptrend and now it stabilized, maybe giving traders time to position and a good entry before giving them a good profit. Legal disclaimer: I am not a financial adviser nor any content in this article is a financial advice, buy and trade at your own risks. 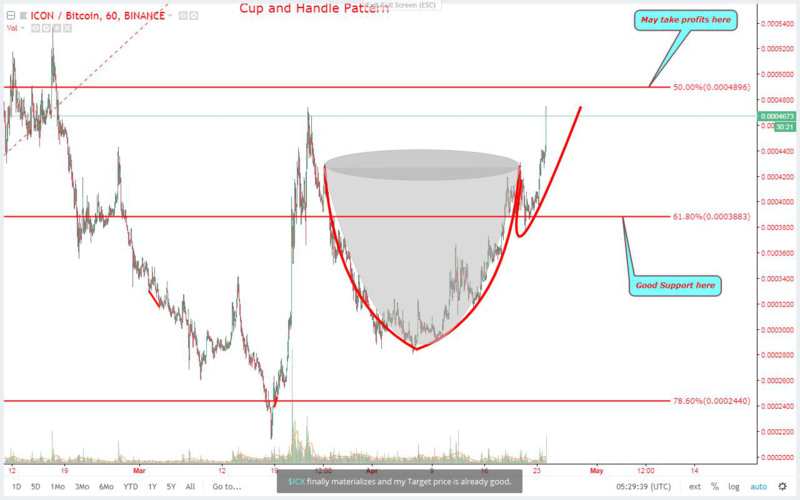 my analysis is based on my view using technical analysis and market behavior. This post is for the #steemitpowerupph community and for the crypto community. Good one , keep it up.... upvoted.